The All Blacks are always a serious bunch, but if anyone thought they were taking the Lions, lightly they got their answer last night when Steve Hansen named his team to face Samoa. Experimentation has been parked by the World Cup winning coach. His big guns need to build cohesion and so they are rolled out to take on Samoa tomorrow morning in the only warm-up they have ahead of the three-Test series. With captain Kieran Read not quite ready and Dane Coles still struggling with concussion, Hansen has named his strongest available XV for the Eden Park meeting with the Islanders. Even the venue is a reminder of his seriousness. New Zealand could have taken this show on the road and gotten into the spirit of the Lions tour, but the stadium hosts two Tests and is the world champions' fortress. Nothing is being left to chance. 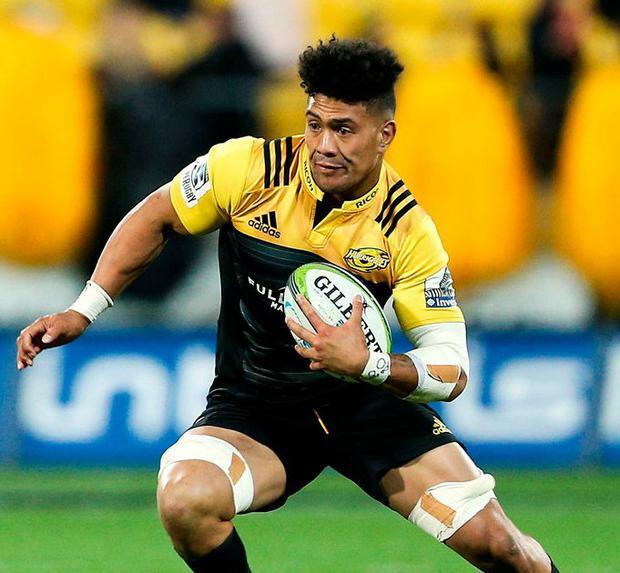 In Read's continued absence, the talented Ardie Savea (pictured) switches across from openside to No 8, and his performance will be closely watched. A brilliant athlete, the brother of winger Julian has rare physical gifts but he's playing out of position and needs to control from the base. Tongan-born back-row Vaea Fifita is set to make his debut off the bench as Hansen looks for options in the absence of the injured Liam Squire. Ben Smith is handed the captaincy for the first-time; the classy full-back has overcome his head injury issues and Hansen described him as "the obvious choice" to lead. Coles' place is taken, as expected, by Crusaders' Codie Taylor, meaning four of the front-five who crossed swords with the Lions last weekend in Christchurch are likely to start next weekend's first Test. Nathan Harris covers Taylor off the bench; while there are a lot of talented hookers in New Zealand, there is no one with Coles' incredible skill-set. He'll be a loss. There has been a lot of debate here about scrum-half, but Aaron Smith is restored to the No 9 jersey ahead of TJ Perenara and he'll hope to put his scandal-riven 2016 behind him with a big series opposite Conor Murray. One wonders if Graham Henry's hailing of the Ireland No 9 was a gentle reminder to the brilliant Smith that he needs a big series to regain ground. The Lions will be noting that the All Blacks do not have a reliable place-kicker in their starting XV. World Player of the Year Beauden Barrett wins his 50th cap, quite an achievement for a man who turned 26 last week, but for all of his gifts he's iffy off the tee. That's where his brother Jordie comes in. Along with second-row Scott, the youngest Barrett is on the bench and primed for his debut. Another ridiculously talented player, who has been playing at full-back this season but can also line up at centre, the 20-year-old has been brilliant alongside Beauden for the Hurricanes this season and has been kicking goals to boot. Many expected him to be given his start in this game, but Hansen has held off in favour of getting game-time into his established combinations who need minutes together to find their feet in the first international of their season. With Ryan Crotty a big doubt for the first Test after damaging his rib cartilage playing for the Crusaders two weeks ago, Anton Lienert-Brown joins Sonny Bill Williams in the centre. From the array of back-three options available to him, Hansen has gone for last season's first choice pairing of Israel Dagg and Julian Savea, with Rieko Ioane and Waisake Naholo waiting in the wings after their impressive outings against the Lions so far. Samoa will be game, but they don't have the quality to match this fully-loaded team who appear to be treating this double-header - Wales play Tonga in the curtain-raiser - very seriously indeed. For Warren Gatland, it is a chance to have a look at his opponents and gauge their form going into the series but he already knows all about this winning machine. He'll watch the scrum closely in particular, while the Lions will also be hoping to spot if Samoa ask any questions the men in black are not comfortable with. For Hansen, it's about building momentum and showing the tourists that his side are ready. NEW ZEALAND - B Smith (capt); I Dagg, A Lienert-Brown, SB Williams, J Savea; B Barrett, A Smith; J Moody; C Taylor, O Franks; B Retallick, S Whitelock; J Kaino, S Cane, A Savea. Reps: N Harris, W Crockett, C Faumuina, S Barrett, V Fifita, TJ Perenara, L Sopoaga, J Barrett. MANU SAMOA - AS Tuala; A Nikoro, K Fonotia, A Leiua, T Nanai Williams; T Pisi, K Fotuali'i; V Afatia, M Leeiataua, C Johnston; C Vui, F Lemalu; P Faasalele, J Lam, F Levave. Reps: S Lam, N Leatigaga, P Alo-Emile, T Tuifua, A Faosiliva, A Falealii, D Leuila,K Pisi.